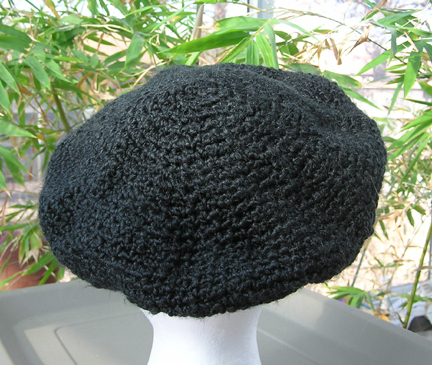 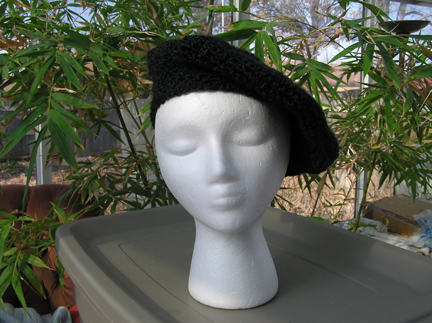 This custom classic beret is made with LionBrand Homespun yarn in black. 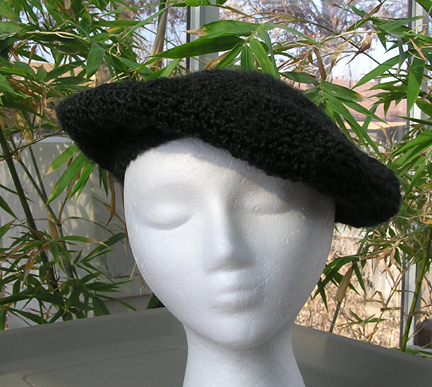 A soft textured yarn 98% acrylic 2% polyester. 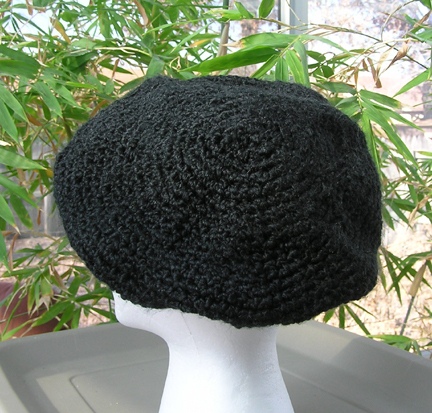 A versatile hat that can be worn in a variety of positions and angles.